As a neighbor and I were tracking down the impending giant herd of pink salmon, we noticed that the old buoy off of Alki Point mysteriously disappeared while this new one near Lincoln Park magically appeared! 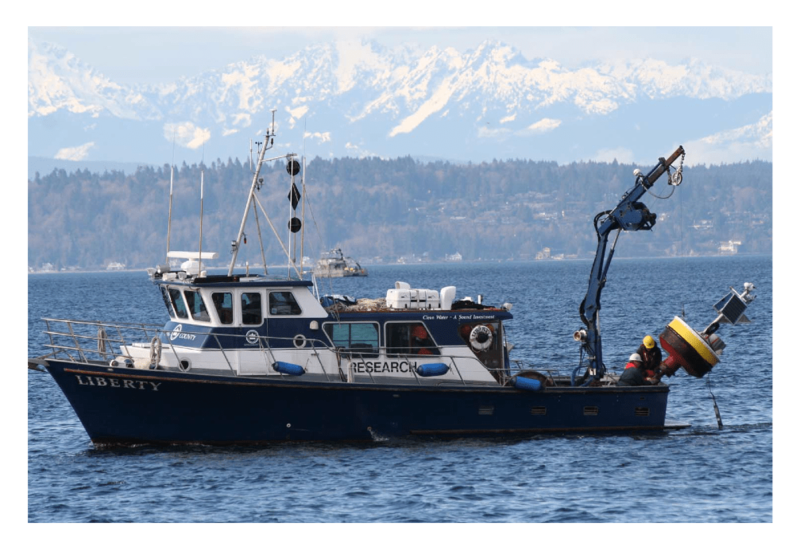 This in situ water quality monitoring system is one of four systems of this type that collect high temporal resolution data that are used to evaluate daily, and sometimes hourly, variability in Puget Sound marine waters. The data are integrated into the County’s monthly marine monitoring program in order to provide a more comprehensive picture of marine water quality dynamics. 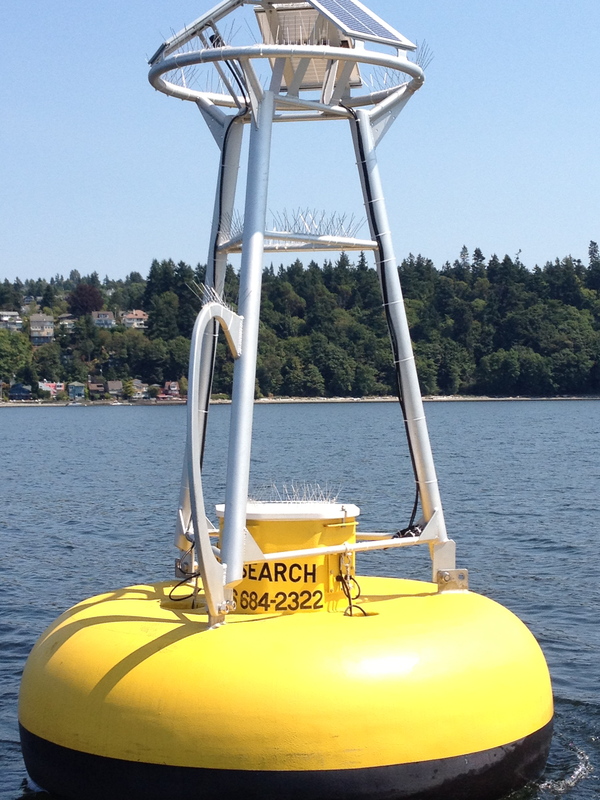 She also stated that this new and improved float is a replacement for the buoy that was located off of Alki Point. Apparently the Alki buoy had a pretty tough time weathering our recent winter storms. This new model is much beefier and will hopefully hang for it’s five year stint as stated on it’s Application for Use. The gentleman that maintains the DNR buoys also wanted to leave his phone number (206-684-2323) if anyone notices if the light on top stops flashing or any other obvious damage that can lead to a navigational hazard. Boarding or approaching a state owned buoy too closely is illegal.